It’s time to admire some fall foliage! 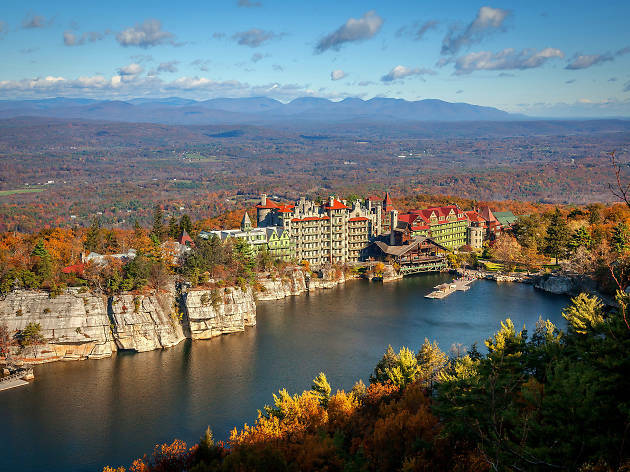 Sadly, the concrete jungle doesn’t offer many leaf peeping opportunities, but these picturesque fall getaways from NYC do. Pack your bags and get acquainted with nature while wandering along amazing hiking trails before seeking shelter inside of a cozy cabin. Looking for something more boozy? 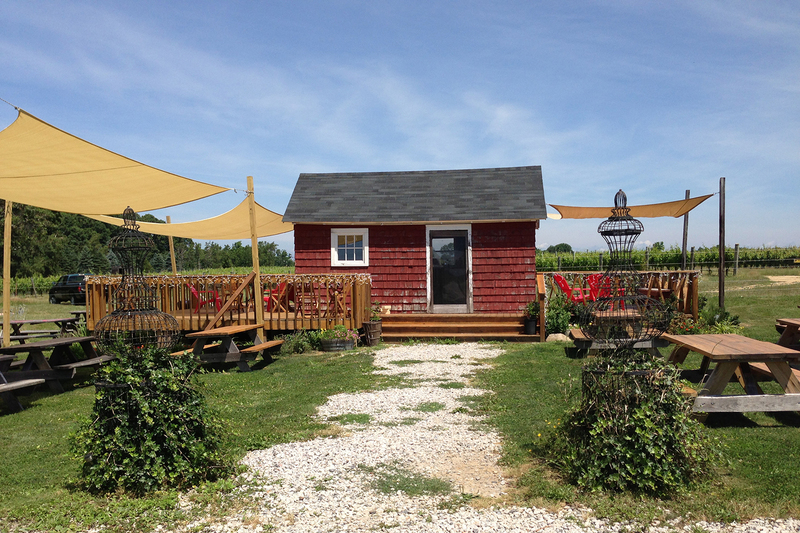 Taste different spirits at nearby wineries or visit a cidery that offers apple picking. 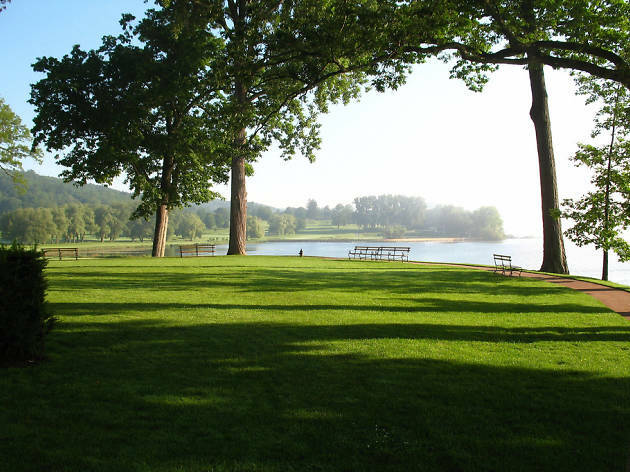 The season would not be complete without spending a weekend in one of the more rural neighborhoods that are a quick drive, train or bus ride away. Read on for all the best things to do upstate and where to stay during our favorite time of year. Forever cemented in pop-culture as the site of Woodstock (and the backdrop of Dirty Dancing) the Catskills boasts some of New York’s most charming small towns, many of which are just two-and-a-half hours outside of the city. What to do: A hiking trail on Overlook Mountain leads to the Instagram-worthy remnants of an unfinished luxury hotel and views of Echo Lake. The General Store of Catskill (356 Main St, Catskill; 518-653-9188, thegeneralstoreofcatskill.com) is another draw, located on the town’s historic Main Street and offering an array of locally-made bath, body and wellness products. Where to stay: It’ll be hard to return to your NYC apartment after a few nights at Table on Ten (52030 NY-10, Bloomville; 607-643-6509, tableonten.com). The three-room inn is also a restaurant, serving wood-fired pizzas Friday and Saturday nights. This is a bucket-list destination for baseball and beer enthusiasts alike. What to do: The four-hour drive to the National Baseball Hall of Fame and Museum (25 Main St; 888-425-5633, baseballhall.org) is well worth it for rabid sports fans. Not into baseball? Head to Fly Creek Cider Mill & Orchard (288 Goose St, Fly Creek; 607-547-9692, flycreekcidermill.com) to watch the cider-making process and grab apple-infused treats from the marketplace. 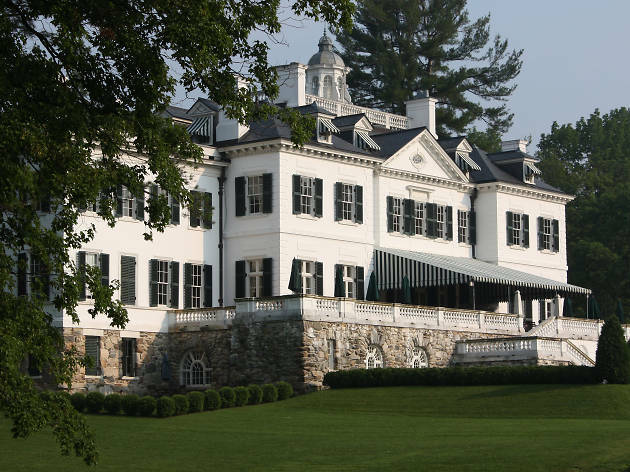 Where to stay: Treat yourself to the luxe accommodations at the Otesaga Resort Hotel (60 Lake St; 607-547-9931, otesaga.com) where amenities include complimentary breakfast, access to two tennis courts and canoe rentals for exploring Otesega lake. Equally charming is the centrally-located 15-room Cooper Inn (15 Chestnut St; 607-547-2567, cooperinn.com). Something tells us glampers dig the Instagram. Maybe it’s the constant postings. Whatever the reason, more than enough ’Gram gold can be found in Hudson Valley—a glamper's paradise. 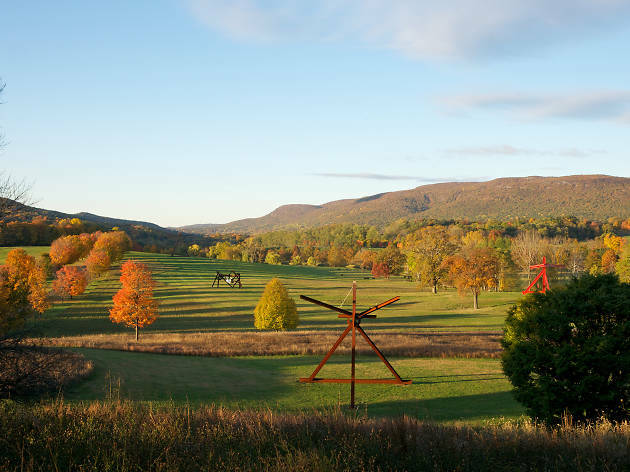 What to do: Head to Storm King Art Center (1 Museum Rd, New Windsor, NY; 845-534-3115, stormking.org), a bucket-list site that has striking contemporary sculptures amid 500 acres of resplendent green, yellow and brown foliage. Afterward, move between art and antiques on Warren Street in Hudson, where NYC expats helm stylish galleries and boutiques. Then brunch at the oh-so-pretty Rivertown Lodge (731 Warren St, Hudson; 518-512-0954, rivertownlodge.com), a hip hotel for design lovers, which recently opened a new tavern that serves Dutch baby pancakes. Where to stay: Book a tent at the just-opened Collective Hudson Valley (129 Ostrander Rd, Hudson; 970-445-2033, collectiveretreats.com; $500–$700/night) on an organic farm. Its luxe, low-pitched tents require no setup and are stocked with rustic furnishings and a generous dollop of ritz—like electricity, private bathrooms and 1,500-thread-count sheets on which to count sheep. Once known as the “inland Newport,” this charming town in The Berkshires was a popular destination for wealthy vacationers during the Gilded Age. 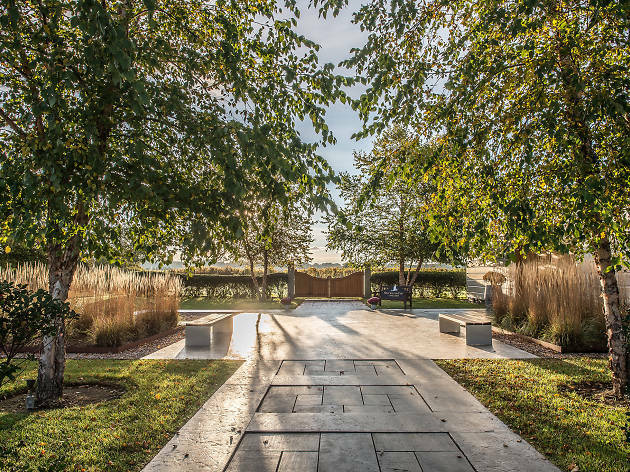 The walkable New England hamlet still attracts plenty of discerning travelers today with loads of cultural options and a prime location for leaf peeping around the region. What to do: Take a trip back in time at the gorgeously restored The Mount (2 Plunkett St, Lenox; 413-551-5111, edithwharton.org), the turn-of-the-century home of famous American novelist Edith Wharton. Shakespeare & Co (70 Kemble St, Lenox; 413-637-1199, shakespeare.org) is a premier regional theater that continues its popular summer season through the autumn months. Where to stay: You may want to spend more time looking at the chic décor at 33 Main (33 Main St, Lenox; 413-400-3333, thirtythreemain.com) than the vibrant leaves outside. The brand-new bed-and-breakfast was entirely designed by Annie Selke and a majority of the furnishings are available for purchase across the street. 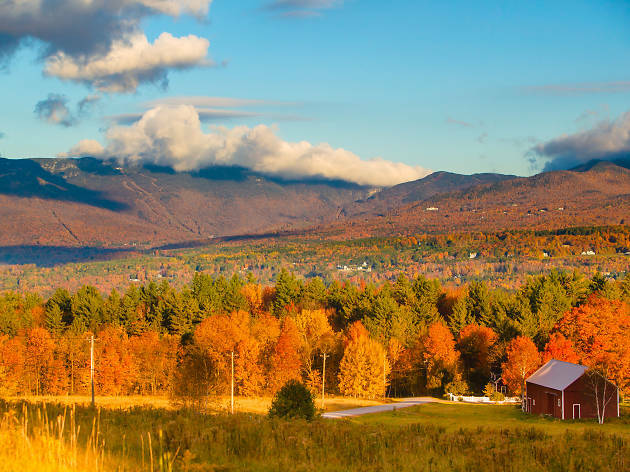 When it comes to fall foliage, Vermont is king. The state has the country’s highest percentage of maple trees, and no better retreat exists for scoring that color-bursting seasonal photo. That’s especially true in Stowe, a valley town in Northern Vermont. 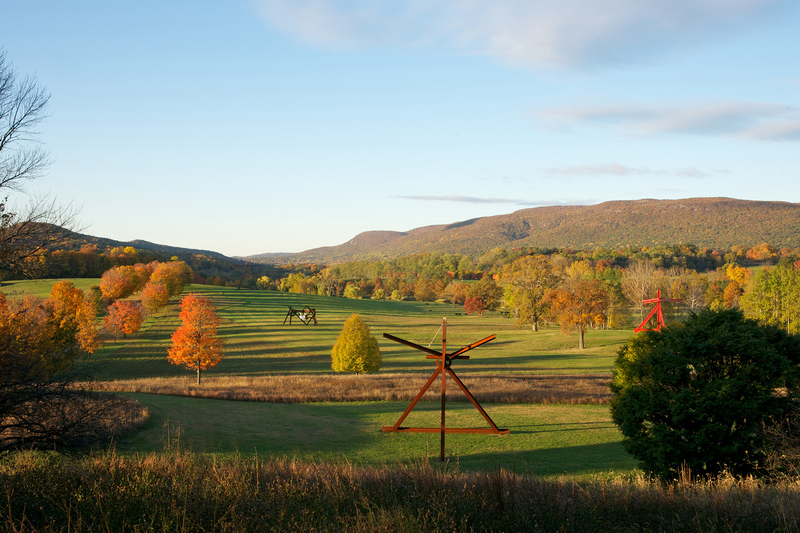 What to do: Marvel at rust-tinged leaves from a car (foliage driving routes are an actual thing here), a gondola at Stowe Mountain ski resort (5781 Mountain Rd; 888-253-4849, stowe.com) or on foot: The three-mile Stowe Pinnacle Trail—4 miles southeast of the town—is one of many climbs with breathtaking views. 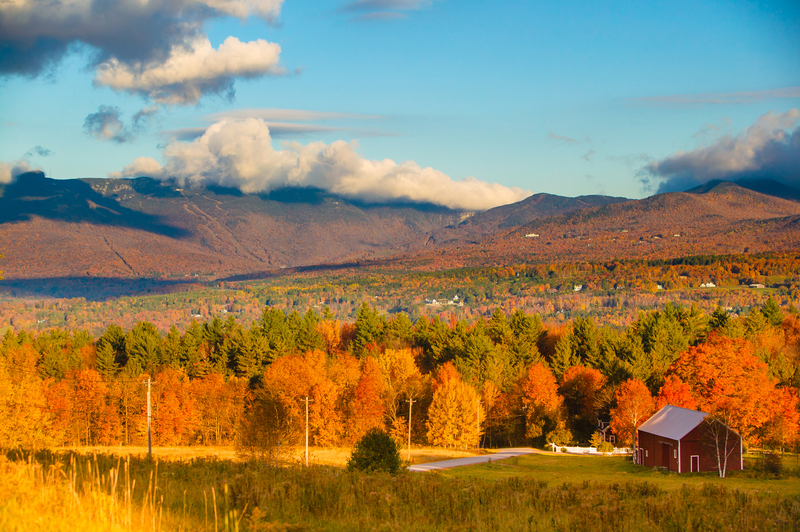 Follow the state’s foliage tracker (vermont.com/foliage.cfm) to ensure leaves are at peak awesomeness when you go. After that hiking, you deserve a bit of shut-eye. 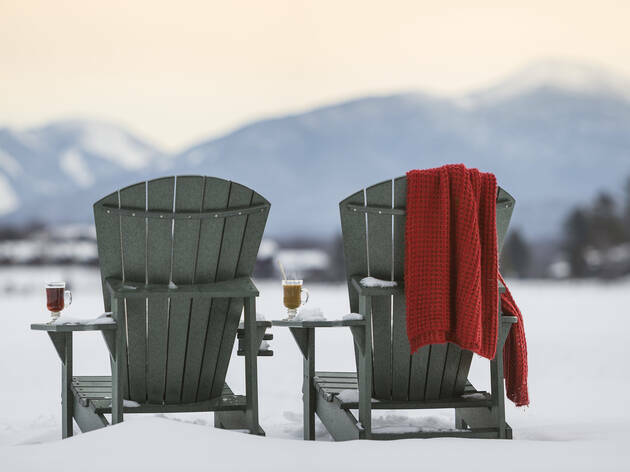 Where to stay: Stowe’s hallmark hotel might be the Trapp Family Lodge (yes, named for that do-re-mi family you’re thinking of), but for a more upscale option, tuck into the recently opened Field Guide (433 Mountain Rd; 802-253-8088, fieldguidestowe.com; $189–$639/night), which has a Scandinavian feel as well as fire pits and a complimentary breakfast basket delivered each morning. Known for its literary and musical culture (Louisa May Alcott’s Orchard House was the setting for Little Women; Edith Wharton had a home there), the Berkshires are where the Boston city slickers go for a taste of the good and quiet life. 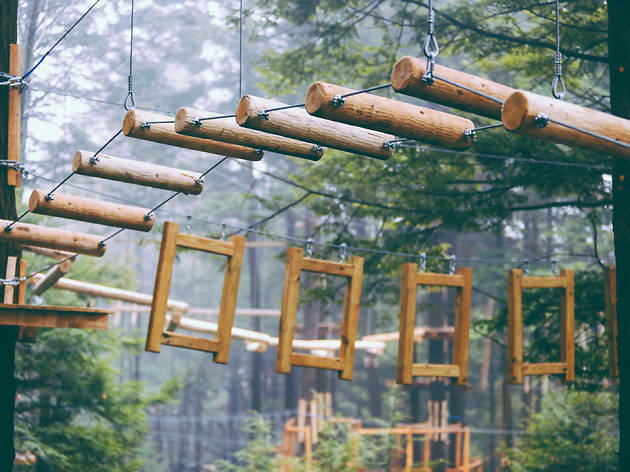 What to do: If peace and tranquillity start to get a little tiresome, head over to Ramblewild (110 Brodie Mountain Rd, Lanesborough, MA; 844-472-6253; ramblewild.com), an adventure park and ropes course with a backdrop of more than 1,400 acres of forest. The park is divided by a ravine, and the two halves are connected by a 200-foot suspension bridge hanging over the water. Make your way to the 15-foot-high central platform, which is the nucleus for eight aerial obstacle courses. 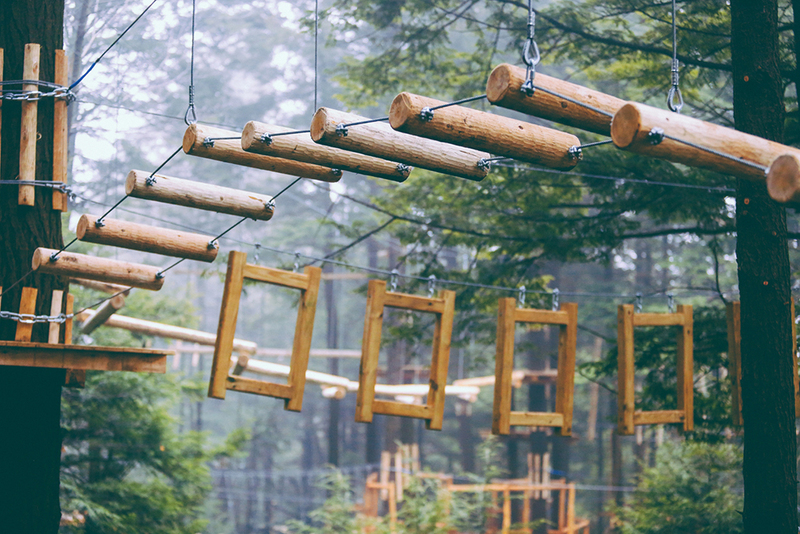 Each challenges your fear of heights with high wires, zip lines, balancing logs, rope ladders, suspended bridges and more. Where to stay: Want to stay in a magical cottage that looks like it came straight out of a fairytale like The Lord of the Rings? Of course you do. Book your stay at the Grand Silo Tower Suite located in Tyringham, MA in the Berkshires. Aside from the dreamy decor, gorgeous views and an outdoor fire pit, there’s also a ping-pong table. Game on! The beloved lake is just the beginning: This prime Adirondacks spot features shopping, hiking, swimming and one killer mountain. What to do: Beyond mountain biking and hiking, you can head to the lake for a vast array of watersports. The town of Lake Placid has a rich collection of art and shopping. 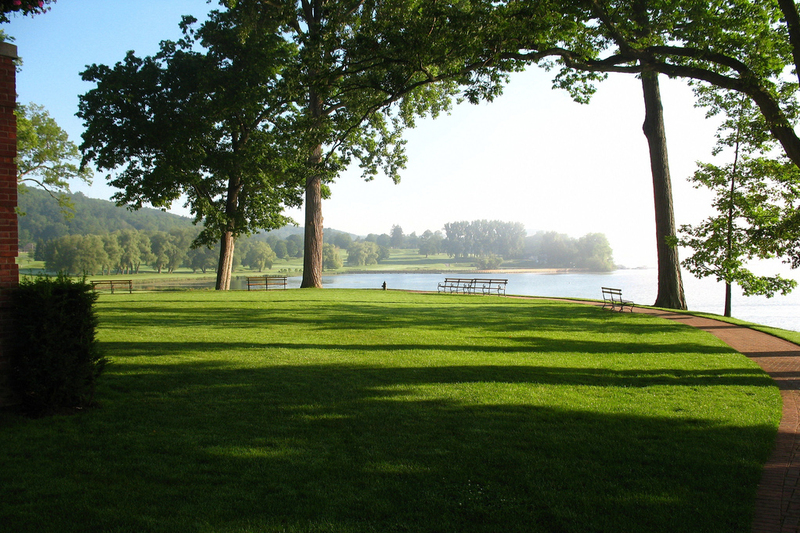 Where to stay: The seven-acre, 131-unit Mirror Lake Inn (mirrorlakeinn.com) can't be beat. Every room looks over the lake, and the the cozy fireside accomodations (along with two restaurants and a spa) will keep you in your robe late into the day. South Fork is so last season. 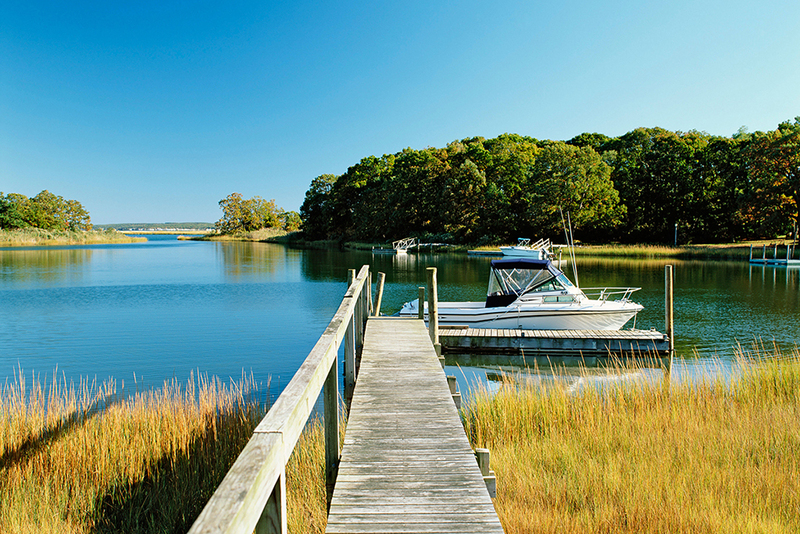 Instead, skip it for Long Island’s North Fork this fall, where the bucolic coast is just warming up. Without traffic you can make it to this venerable stretch of farms and vineyards in a hour and a half. Bring your taste for Chardonnay and Pinot Grigio. What to do: Winery tour options abound here, so take your pick! Sample Merlot at One Woman Wines and Vineyards (5195 Old North Rd, Southold; 631-765-1200, onewomanwines.com), try Coffee Pot Cellars’ sauvignon blanc (31855 Main Rd, Cutchogue; 631-765-8929, coffeepotcellars.com), or sip on something bubbly at Sparkling Pointe (39750 Middle Rd, Southold; 631-765-0200, sparklingpointe.com). No judgment if you decide to hit up all three. 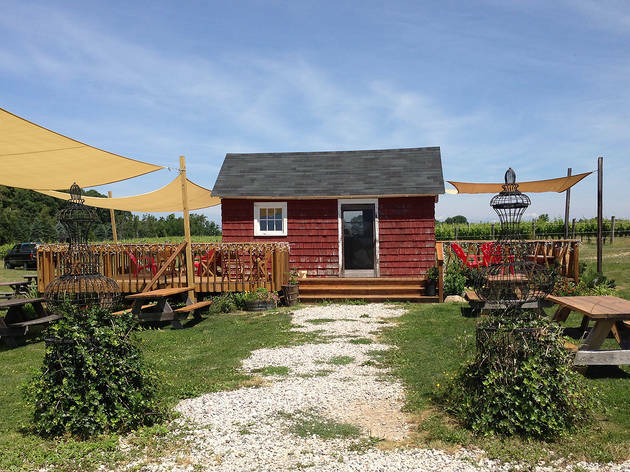 Where to stay: North Fork is perfect for a day trip, but if you want to extend your stay, tap Arbor View House B&B (8900 Main Rd, East Marion; 631-477-8440, arborviewhouse.com), known for it’s plush garden and gourmet breakfast, as your relaxing home away from home. This Massachusetts town’s dark past draws urban witches and history buffs from all over the Northeast. 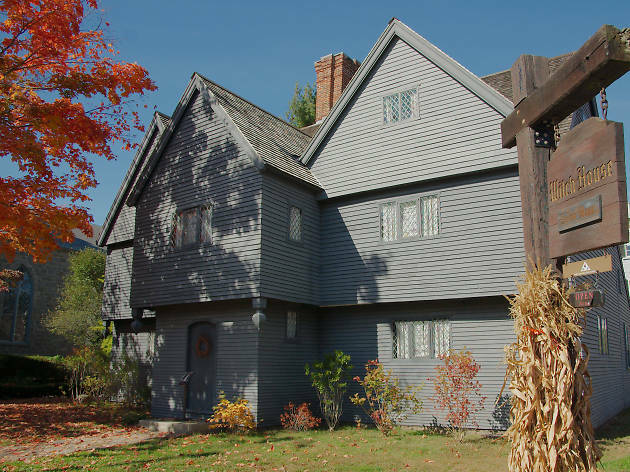 With so many museums, attractions and tours devoted to the infamous Salem Witch Trials, there’s plenty of creepy history to explore in the otherwise charming village. Even better, it’s surprisingly easy to get to: Just take the short flight into Boston and rent a car for the hourlong drive east to Salem. What to do: Dive right into the town’s paranormal history at the Salem Witch Museum, where exhibits on paganism, modern witchcraft and the phenomenon of witch hunts will give you a quick primer on the occult. 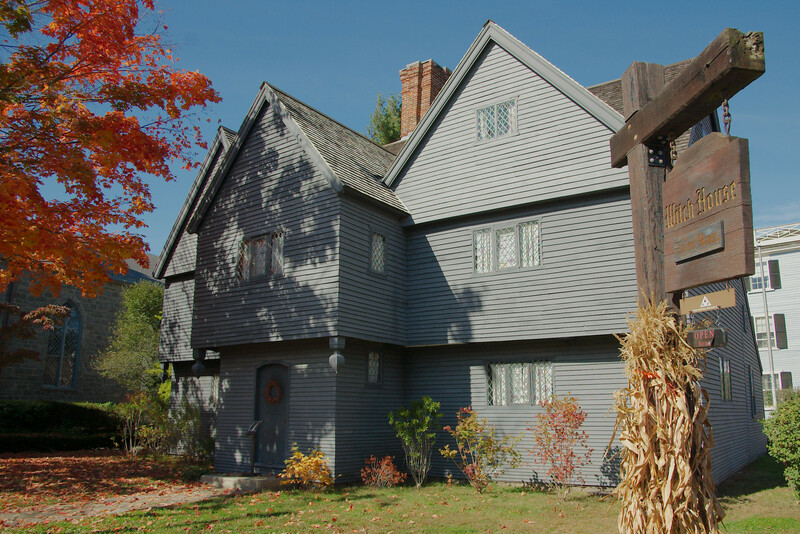 Where to stay: Though Boston is just an hour away, stay the night in Salem to amp up the spooky vibes. The historic Hawthorne Hotel (18 Washington Square W, Salem; (978) 744-4080) is fairly young by New England standards—it only opened for business in 1925—but has still had its fair share of reported hauntings. Rooms 325 and 612 are particularly notorious, with guests reporting ghostly apparitions, faucets turning on and off, glowing orbs and all kind of other things that go bump in the night. It’s all about classic, New England culture here, complete with historic places like White Horse Tavern (America’s oldest restaurant) and a bevy of briny bivalves. 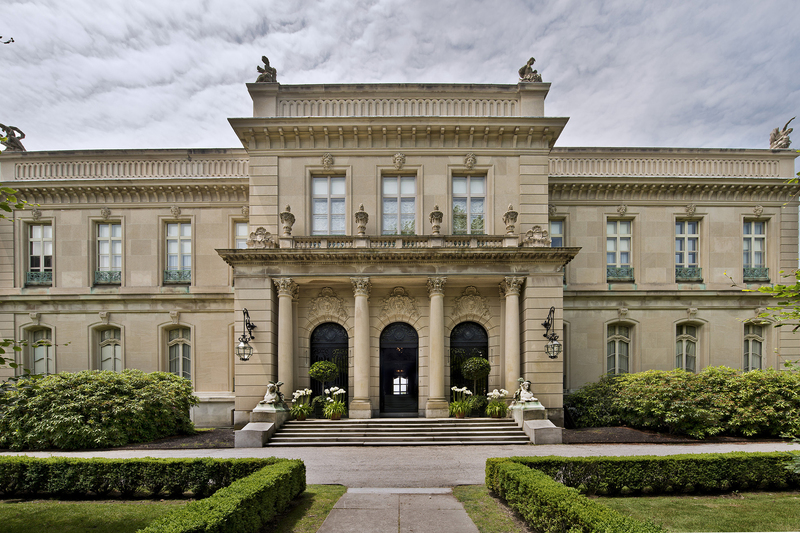 What to do: Newport is home to some of the most impressive, ridiculously elegant mansions in the nation. The Preservation Society of Newport County, Rhode Island’s largest cultural organization, has 11 historic properties and landscapes on its register (newportmansions.org). 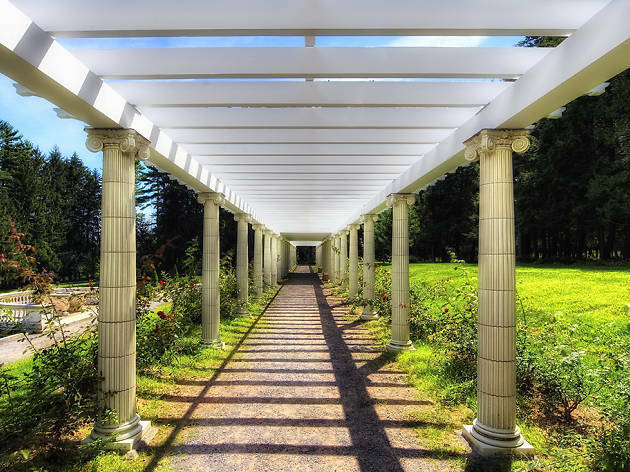 Take a trip back in time from the colonial era to the Gilded Age by walking in the footsteps of some of America’s most historic elite. 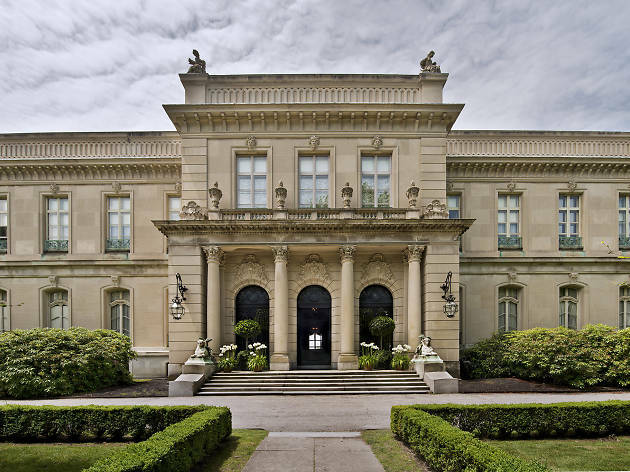 If you only have time for one, make it the Breakers, the grande dame of Newport’s elite homes, boasting 70 rooms, a man cave mostly made of gold and stories galore. (Cole Porter used to pen hits in one of its upstairs, luxe bathrooms.) You can peep at multiple mansions located in this seaside town during this fun and informative Newport Gilded Age Mansions Trolley Tour. Where to stay: The Attwater (22 Liberty St; 401-846-7444, theattwater.com, $200/night), a funky hotel with a modern design, pays homage to Newport’s seafaring history with nautical accents and varying shades of bold blues, while other touches like throw pillows, flowers and drapes scream out in bright purples, greens and reds. The kitschy beach house meets luxury boutique has tech-friendly features like iPads, Keurig coffeemakers and iPod docks. Its proximity to Newport Art Museum makes it appealing to city slickers looking for that New England escape complete with creature comforts. 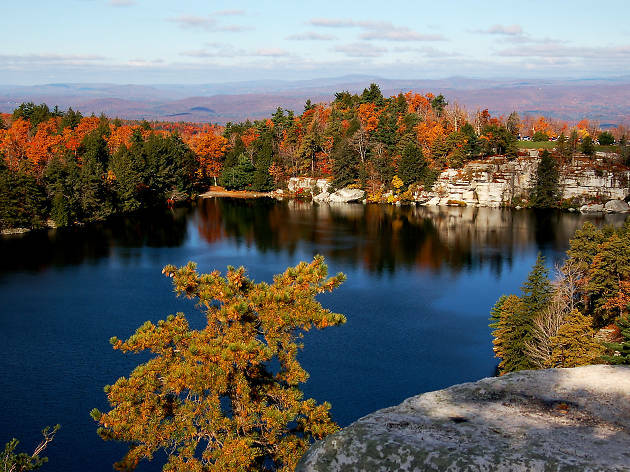 If you’ve ever walked the six-mile perimeter of Central Park and felt wistful leaving the North Woods—which were designed to resemble a forest in the Adirondacks—then it might be worth heading to New Paltz, NY to tackle some serious hiking. 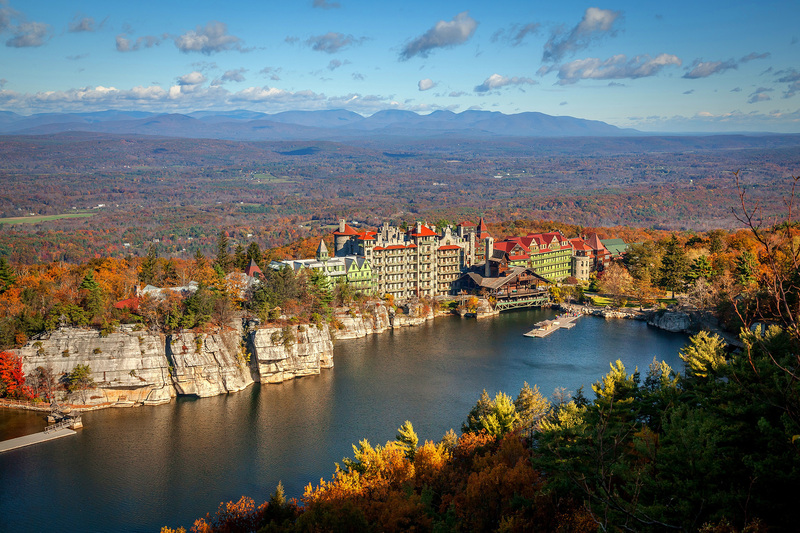 A nature-filled weekend starts by booking a roundtrip ticket to Mohonk Mountain House via the Catskill Carriage, which is redefining the charter bus experience. During your trip, you are provided with every amenity you could possibly need. Wifi, outlets, snacks, candy and even homemade cookies? MTA, take notes. 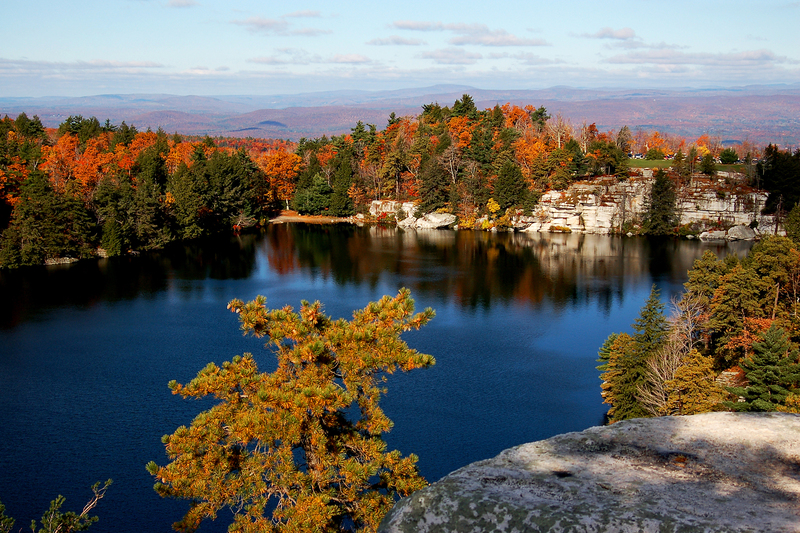 What to do: The best reason by far to visit Mohonk is to get outside and explore its extensive hiking trails, which are set in 2,200 acres of forests. One of the most popular hikes is a relatively easy trek up to Sky Top Tower, a stone structure that was built about 85 years ago in honor of one of the resort’s founders, and which offers fantastic views of the surrounding area. All of the hiking trails are well marked and maps are provided, offering hikers everything from a beginner path to some serious rock scrambles located along a network of paths situated on lakeside cliffs. 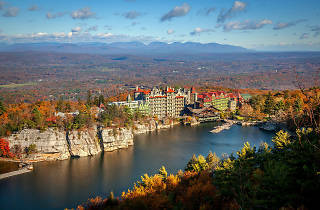 Where to stay: Situated at the top of the Shawangunk Ridge, Mohonk Mountain House (1000 Mountain Rest Rd; 845-765-3286, mohonk.com) overlooks the half-mile-long Lake Mohonk and is a National Historic Landmark that has been owned by the same family for almost 140 years. While staying at this 265-room Victorian castle with a full-service spa isn’t exactly roughing it, photos of long-gone relatives, fireplaces and the lack of TVs in each room add some rustic charm. A day at the orchard sounds nice, right? And just an hour and a half away from NYC? Even better. 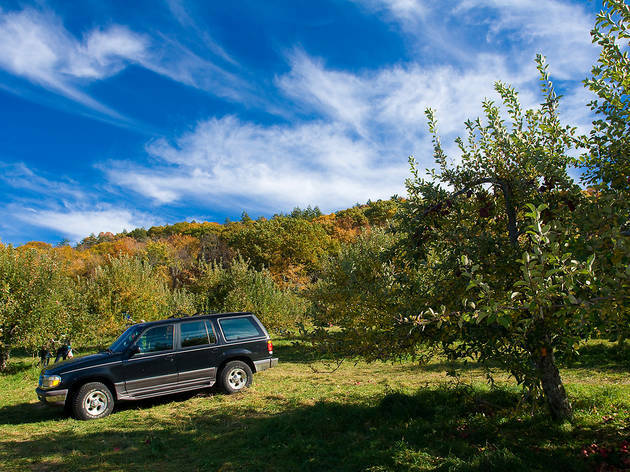 What to do: Warwick’s main attraction is Masker Fruit Farms (45 Ball Rd; 845-986-1058, maskers.com)—a 200-acre orchard open for apple picking seven days a week. Admission is free and and apples are $28.95 per half bushel (about 20). Swing by the country store on your way out to pick up apple butter and a jug of cider. Where to stay: Warwick Valley Bed & Breakfast (24 Maple Ave; 845-987-7255, wvbedandbreakfast.com) kicks casually accommodations up a notch with on-call massage therapists and a vegetarian or vegan breakfast made at your request. Saratoga Springs has been a posh retreat from the big city for more than 200 years due to its natural mineral springs that spawned its name. The naturally carbonated wonders are some of the only ones in the country and attract throngs for their healing benefits, namely antacid properties to help upset stomachs and heartburn. 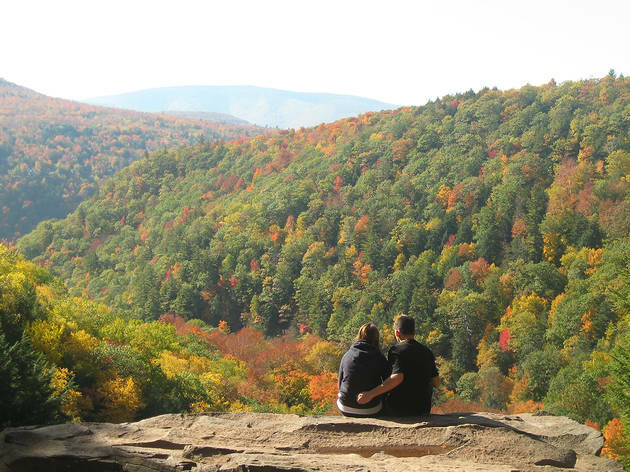 But there’s plenty else to see and do in this upstate New York retreat in the fall, from apple picking and corn mazes to foliage hikes and autumnal farmers’ markets. 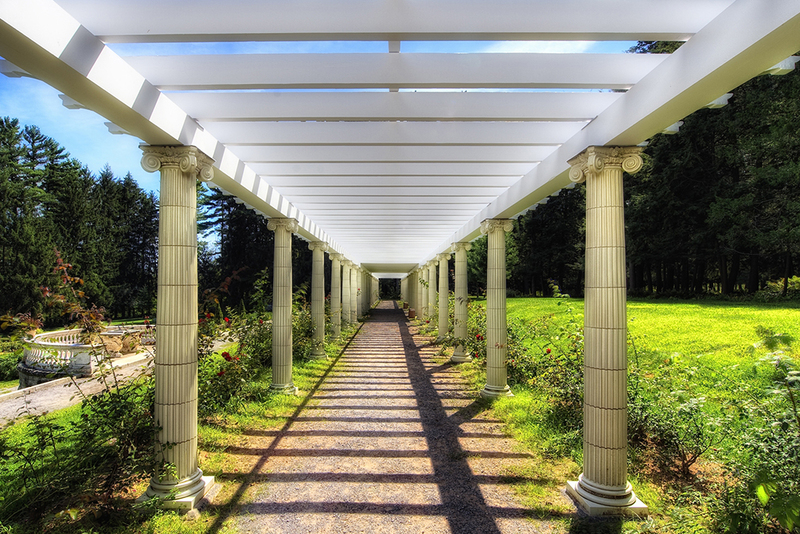 What to do: Zen out at Yaddo (312 Union Ave; 518-584-0746, yaddo.org, $10), an artists’ hub that opened in 1900 and sits on a bucolic 400-acre estate. Its mission is to give artists the space to work without interruption. 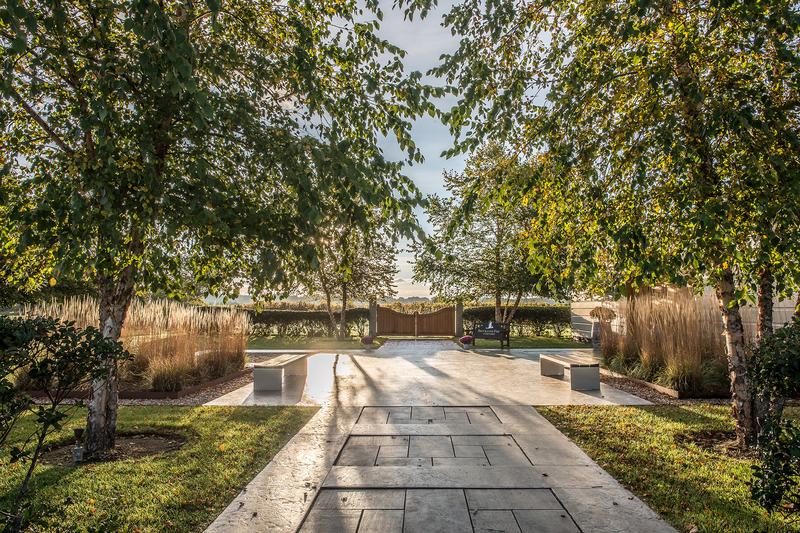 Today it’s a center for choreography, film, literature, music, painting, performance art, photography, sculpture and video installments, and aside from all the arty happenings, it’s worth a visit just for the pleasant walk around the gardens. You can experience more culture at The National Museum of Dance (99 S Broadway, Saratoga Springs, NY; 518-584-2225, dancemuseum.org), at which you can view an ever-growing collection of photographs, videos, costumes, biographies and more artifacts that pay homage to the art of dance, of course. Where to stay: Right on bustling Broadway, Saratoga Arms (497 Broadway; 518-584-1775, saratogaarms.com, $289/night) is a stone’s throw from boutique shops and restaurants. Breakfast is included daily at this country-style inn, where you can find wraparound porches, fireplaces and balconies. This centrally located, historic upstate New York town is the jumping off point for the rest of the Catskills—a great home base for exploring Phoenicia, Kingston or Rosendale. Where to stay: The recently reopened Hasbrouck House (3805 Rte 209; 845-687-0736, hasbrouckhouseny.com, $275/night) is in an 18th-century Dutch Colonial mansion, with 17 rooms and nearby carriage and stable houses. Spread across three separate stone buildings, each with a collection of both vintage and modern pieces, the property is surrounded by country gardens and pays homage to the locally sourced food and drink of the Catskills. The restaurant Butterfield takes on a country-tavern vibe but with elevated cuisine like its Three Little Pigs Sandwich with smoked paprika, pulled pork, house-cured ham and slaw on a potato bun. 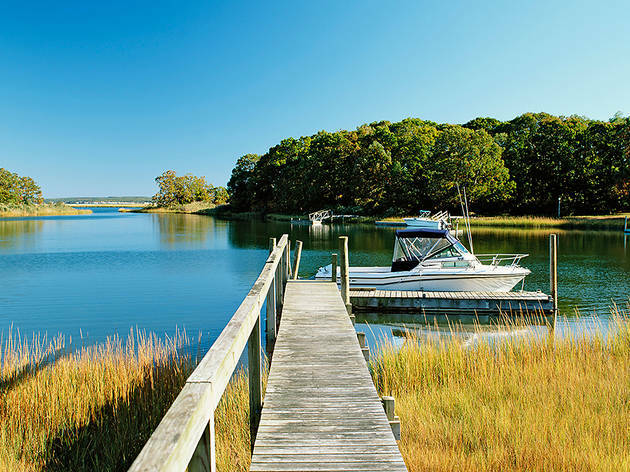 This seaside town is picture-perfect New England, with old-time homes, farm-to-table eats, craft breweries and kayaking on Little Narragansett Bay. Most people stop in Mystic, Connecticut, because of the public transit access (and the pizza), but Stonington offers the same type of feel, with far fewer people. 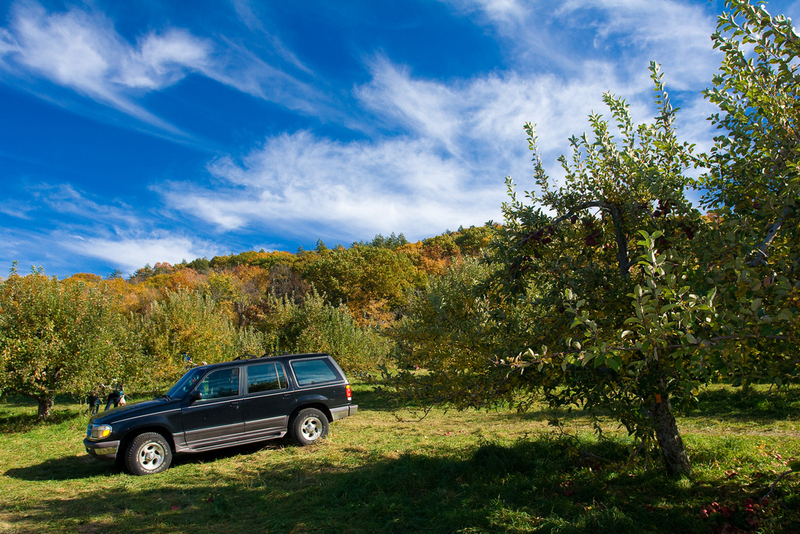 Get in good-clean-fun mode at nearby B.F. Clyde’s Cider Mill (129 N Stonington Rd, Pawcatuck, CT; 860-536-3354, bfclydescidermill.com), where pumpkin and apple picking, pies, maple syrup and fudge, attract fall-weather lovers every weekend. What to do: Toast the changing of the season at Saltwater Farm Vineyard (349 Elm St; 860-415-9072, saltwaterfarmvineyard.com). Its tasting room lives in a restored World War II–era airplane hanger with views of the 15-acre vineyard. The winery produces chardonnay, sauvignon blanc and cabernet rosé, but come the colder months, you would be remiss to skip the estate’s cabernet franc, known for its seasonal cherry and blackberry flavors. Where to stay: With views over the harbor, the upscale and centrally located Inn at Stonington (60 Water St, 860-535-2000, innatstonington.com) has some pretty swanky touches: four poster beds, balconies, window seats, fireplaces and even whirlpool tubs. Consider breakfast in your plush bed overlooking the harbor from the floor-to-ceiling windows. Looking for more weekend getaways?